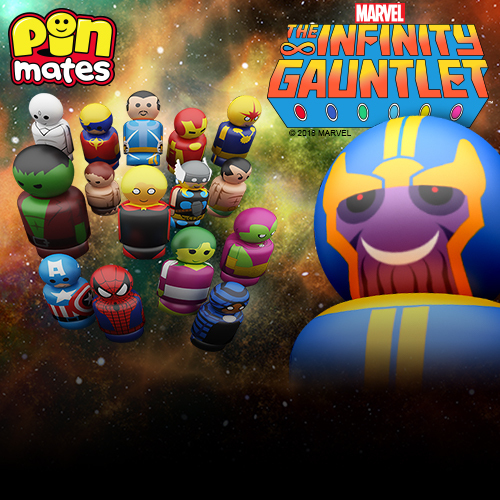 This weekend at C2E2 2019 in Chicago, All Star Press will be releasing a ton of awesome new convention exclusive prints. 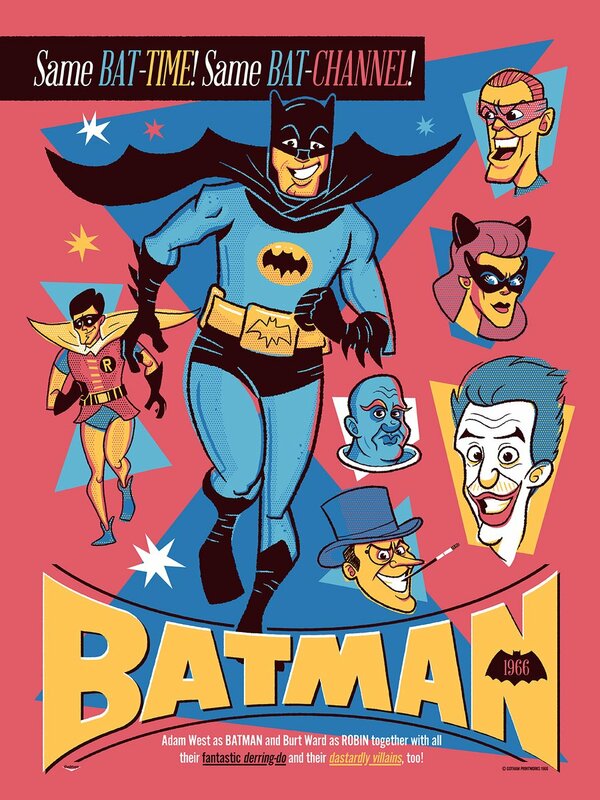 That includes this really fun Batman ’66 screen print by Ian Glaubinger, which is entitled “Same BAT-TIME! 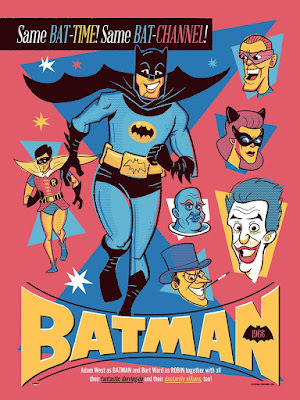 Same BAT-CHANNEL!” Featuring Batman, Robin and some of the Caped Crusader’s most dastardly villains, this is one groovy print! Fans can purchase it at the All Star Press Chicago C2E2 boot #171. For those of us not at C2E2 this weekend, any prints remaining after the convention will go on sale at 2pm CDT on Monday, March 25th, at the All Star Press online store.